Sunday School Idea & Lesson Exchange! We are an online community of Sunday School teachers and church staff sharing free and premium Sunday School lesson plans and ideas. 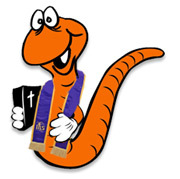 We are also the official website of the Workshop Rotation Model (WoRM), a creative way to organize and teach Sunday School. Volunteer-led, independent, and non-profit, we are funded entirely by our Supporting Members . You are welcome to borrow from our thousands of free Bible lessons, ideas, and articles, and post your own. Supporting Members get full access to extra creative "Writing Team" lesson sets. Learn more about us and the Rotation Model. Rotation Model-specific Articles, What is the WoRM? ROTATION MODEL: About the Model, Getting Started, Managing, and more. The forums in this category describe and resource "getting started" and managing a Rotation Model Sunday School. Related forum: Workshop designs, themes, creative teaching techniques. A great resource for both Rotation and traditional programs! Rotation: The Power of "Do Over"
Article: What is the Workshop Rotation Model? How can I search the site? Our supporting members have access to a special set of extra-creative and detailed lessons from our Writing Team. Become a supporting member today. For just $45 you not only support our site's very existence, but you also get access to these and many more "WT" lesson sets and site resources. Learn more about our Rotation Model and site. We have two types of Forums in The Lesson Exchange: our "Open" (public) forums which are open to everybody, and our "Writing Team" lesson forums which are open to our amazing Supporting Members. ♦ To print a single post, click that post's "Options" link (found in the lower corner of the post) and select "Printer Friendly" option, then "print" from your browser's Print menu. Alternately, highlight desired text, RIGHT click and select "Print" or "Save As PDF" to print or save just the selected text. ♦ To print an entire web page, or save it as a PDF, select "Print" from your browser's print menu, and select either your printer or the "Save As PDF" in your options. Rotation.org is a curated collection of Sunday School lesson plans, ideas, and resources contributed by our members. We also have a "Writing Team" producing extra-creative lesson plans for our Supporting Members. We are non-profit, non-denominational, volunteer-led, creatively inclined, and here to help! You are welcome to glean and contribute ideas. Keep in mind that we're striving for something more creative than coloring pages and cutesy crafts. Our age range is primarily elementary age. Writing Team Lesson Sets have age adaptations for both younger and older students. Registering for free gets you access to additional content and features, as well as, permission to post. Supporting Members get access to Writing Team Lesson Sets and numerous site features. Lesson Topics are organized by Bible story, then by teaching medium (video, art, cooking, drama, etc. (what Rotation Modelers call "workshops"). Traditional Sunday Schools can easily adapt "Workshop Rotation" lessons. Rotation Modelers teach "major" Bible stories for four or five weeks in a row, thus, "minor" story topics may not have much in them. Request help with any lesson in our Teachers Lounge. Rotation.org's history, content, membership, and leadership reflect the broad theological middle and mainline tradition. We expect every church to adapt content. Rotation.org Inc. is a volunteer-run, 100% member supported, 501(c)3 non-profit Sunday School lesson ministry. All content here is the copyrighted property of its listed author. You are welcome to borrow and adapt content here for non-commercial teaching purposes --as long as both the site and author is referenced. Posting here implies permission for others to use your content for non-commercial purposes. Rotation.org Inc reserves the right to manage, move, condense, delete, and otherwise improve all content posted to the site. Read our Terms of Service. Google Ad Note: Serving the United States, Canada, United Kingdom, Ireland, Australia, New Zealand, S. Africa, and more! Rotation.org is rated 5 stars on Google based on 55 reviews. Access to this requires a Supporting Membership. If you are not yet a Supporting Member, or if your Supporting Membership has expired, you will see a "PURCHASE" button below. Full posting and reply privileges. Access to all Writing Team lesson sets. Access to the Teacher's Bible Video Guides collection. Access to all Rotation.org's lessons & resources. Ability to "FOLLOW" topics and get an email notification when it is updated. Access to the SEARCH feature. Supporting Member icon with screen name. Ability to create a Bookmark to favorite posts so you can find them later. Monthly Emailed Highlights of New Content. Our thanks! ...and the knowledge that you are supporting a unique, grassroots, volunteer-led Christian education ministry. Annual Supporting Memberships are $45. If you would prefer to send a check, or would like to make an additional contribution, look here. We are a 501(3)c non-profit ministry of sharing supported entirely by individuals and churches. No ads, just great content and great members!